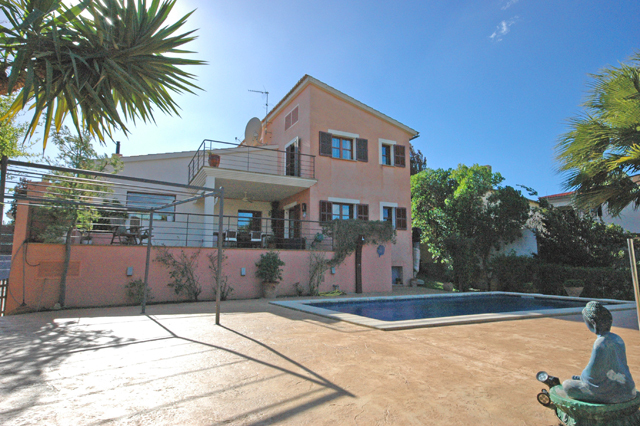 A beautiful family home in Calvia village. 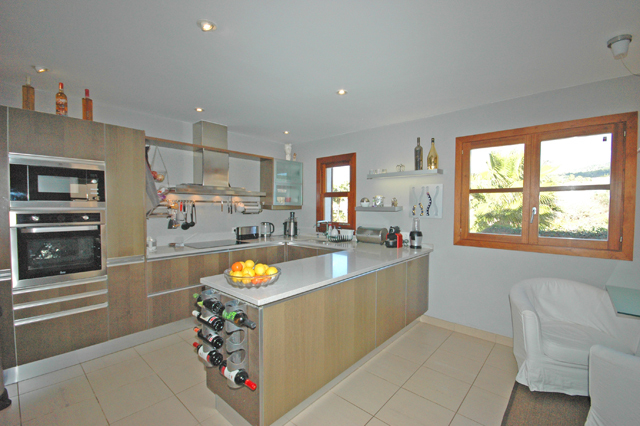 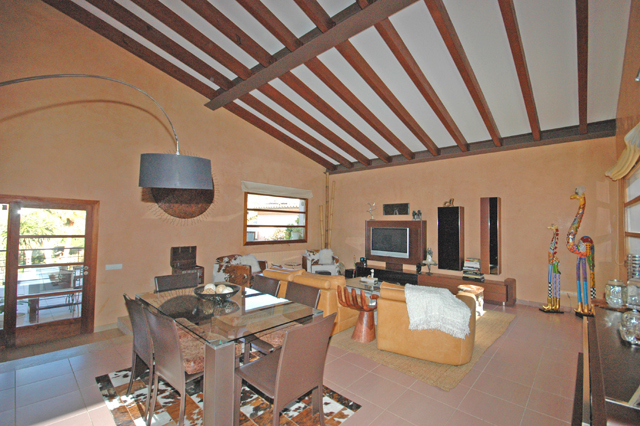 The property has an approx constructed area of 366m2 and a plot of 1150m2. 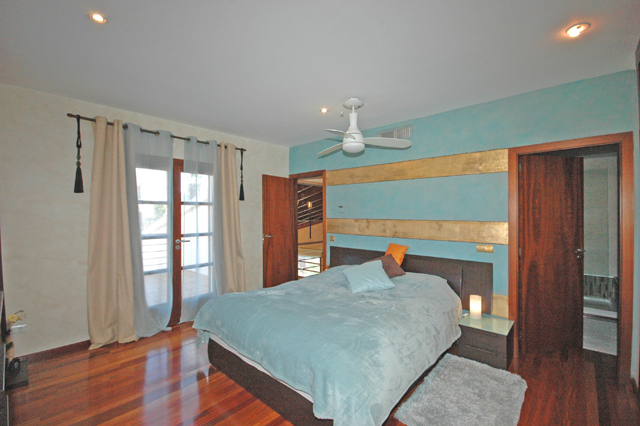 The house consists of 4 bedrooms, 3 bathrooms (2 ensuite), a large double height lounge and excellent kitchen. 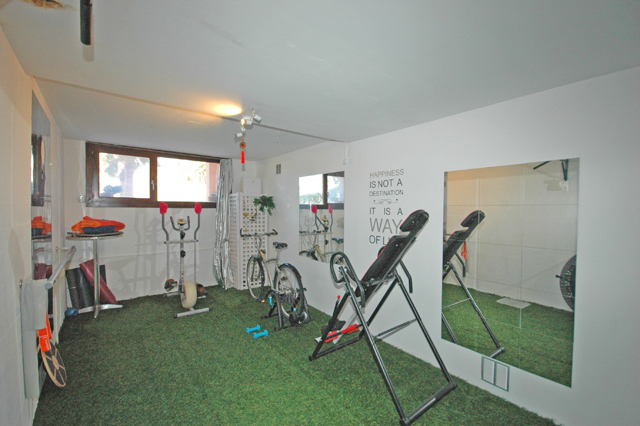 In addition there is a guest toilet, laundry room, gym, double garage and 2 storerooms. 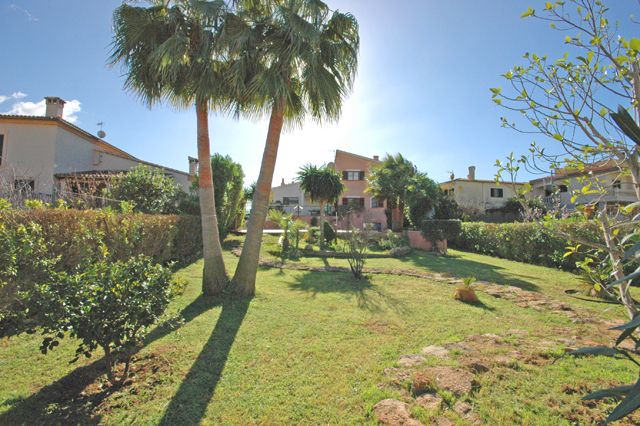 Outside there is a wonderful terrace overlooking the private pool and extensive garden, all with great views out to Galaxto. 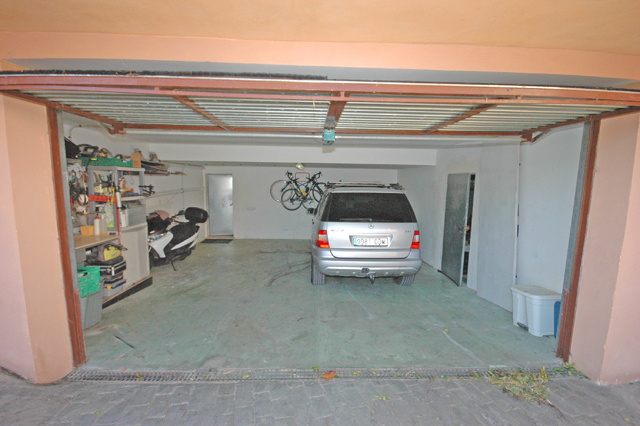 Other features of the property are central heating and a/c.